The Carbon is a scam. The ETS is the scam on paper. Rudd is rubber stamping it to lock us into the scam. The best part of this piece is the ending…. “This money, which even Treasury estimates will – and indeed, should – run into billions of dollars a year, will be money paid to buy . . . absolutely nothing. It buys nothing but a bit of paper, that says in effect: you are given permission to keep your power station open. I’m no fan of Abbott but he’s dead on in that statement. 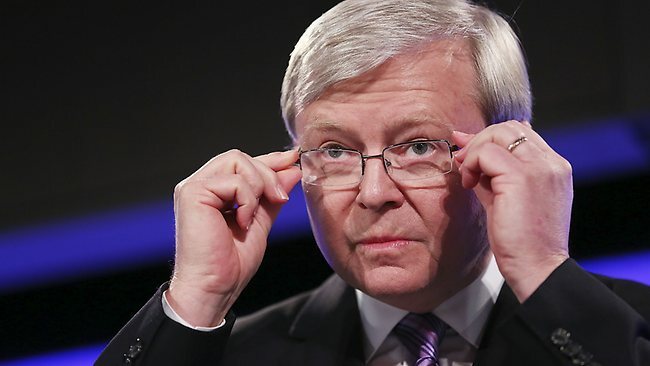 KEVIN Rudd is NOT ditching the carbon tax. He isn’t even cutting it. Your power prices won’t fall by a single cent on his announcement. All he is doing is engaging in a classic pre-election ploy. At best, you could say, he was promising that “there’d be a lower carbon tax under a government I lead”. The critical point is that it’s not even the classic situation that voters have to take on trust, that after the election, he doesn’t find out, were he to win, that, unfortunately he then just had to break that promise. Like so many, including his immediate predecessor, before him. No, that would just be ‘normal politics’.